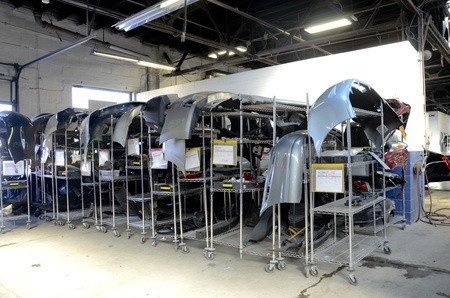 Collision Masters blends decades of industry knowledge and hands-on auto experience with unparalleled repair technology. Our expert technicians are approved to perform complete collision repairs on all aluminum-bodied vehicles. 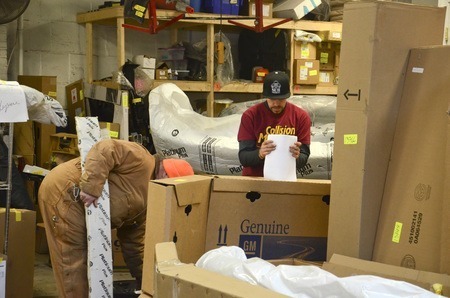 This means that with every repair, our team must maintain the highest standard of repair, safety, and engineering precautions while using authorized methods and techniques to ensure the repair of your vehicle to pre-accident condition. 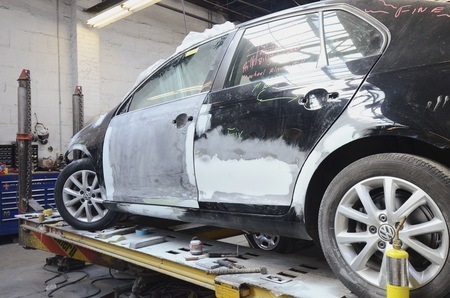 Collision Masters has the experience to fully repair any make, model, or type of vehicle. Our facilities are currently considered a certified repair specialist by major car manufacturers including GM, Ford, Nissan, Honda, and Chrysler. We utilize the most up-to-date unibody bench systems to comprehensively repair every aspect of your vehicle with maximum efficiency. Advanced computer software and diagnosis tools allow our team to pinpoint your vehicles exact problems quickly and effectively. The accuracy of our diagnosis reports allows us to ensure your car’s absolute safety in the quickest way available. The CCC One collision management system is a sophisticated database which houses all your repair details and information. This tool allows our team to immediately order necessary parts, keep track of your insurance information, and give accurate updates on your vehicle’s status — all with the goal of ultra-fast repair turn-around. I-CAR offers education services for the collision repair industry, and provides the knowledge and information needed to perform high quality, completely safe auto repairs. Each of our technicians has gained the required skills to be fully certified by I-CAR, and are always continuing their education with additional courses on new repair methods, techniques, safety precautions, and technology. As long as you own your vehicle, every repair we perform comes fully backed by our Lifetime Warranty to assure 100% customer satisfaction.